Good news. No more clunky black boot. Bad news... 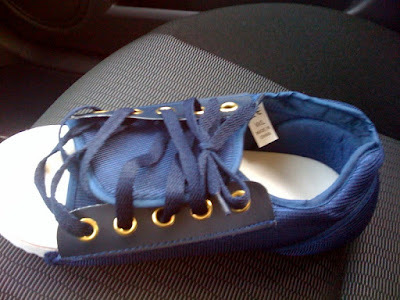 I get to wear this "gorgeous" (not) blue thing that looks like a shoe. But is it? Really ? I ordered the invites last Friday. I should get them mailed out after Easter weekend. Now, the question of the day is do I have it catered or do I buy a grill? Hmm.... stay tuned.